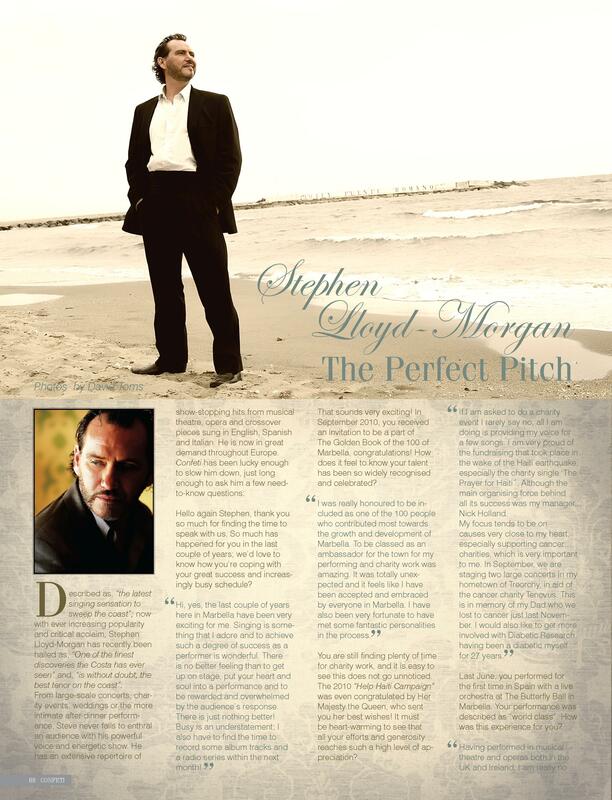 The Perfect Pitch- Stephen Lloyd-Morgan | Marbella Marbella – Adelante! 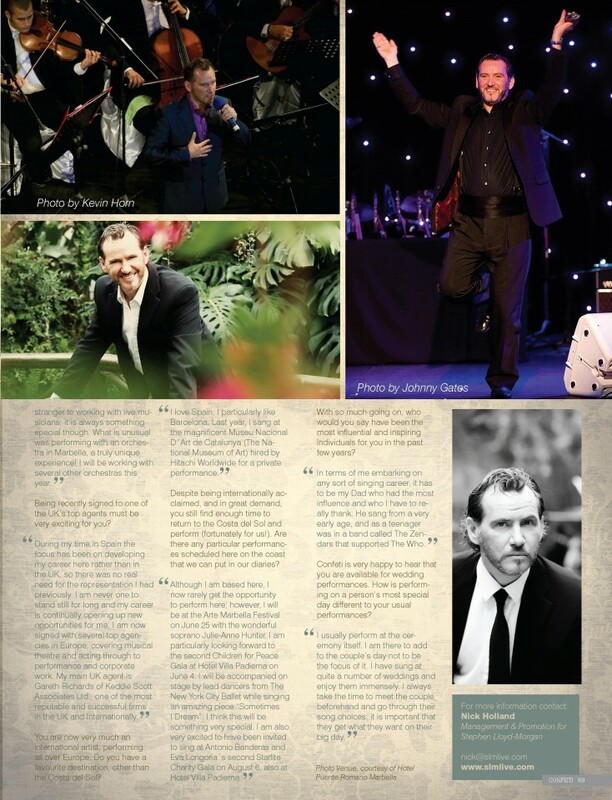 Steve will be singing at the 2nd Children for Peace Gala at Hotel Villa Padierna Marbella on 4th June. (www.thechildrenforpeace.com) He will be singing “Sometimes I Dream” backed on stage by dancers from The New York City Ballet who are flying over especially. We are very pleased to announce that Steve will now be represented by one of the UK´s largest and most successful Agents, Keddie Scott Associates Ltd (KSA), who have offices in London, Scotland and Wales. Steve´s personal Agent, Gareth Richards, is based in their Welsh Office.